I have to confess I don't know the full details on this piece. I saw it at the Onell Designs shared booth at Comic-Con 2010 and was delighted with it, and, thankfully, I got to get one. The head it based on the design of a guy who now calls himself the Sucklord, and he's been a staple at conventions for years in various capacities. He's even appeared on a VH-1 show called "Can't Get a Date" but that had little to do with custom-making toys or anything like that. It's literally just a head in a little plastic jar. 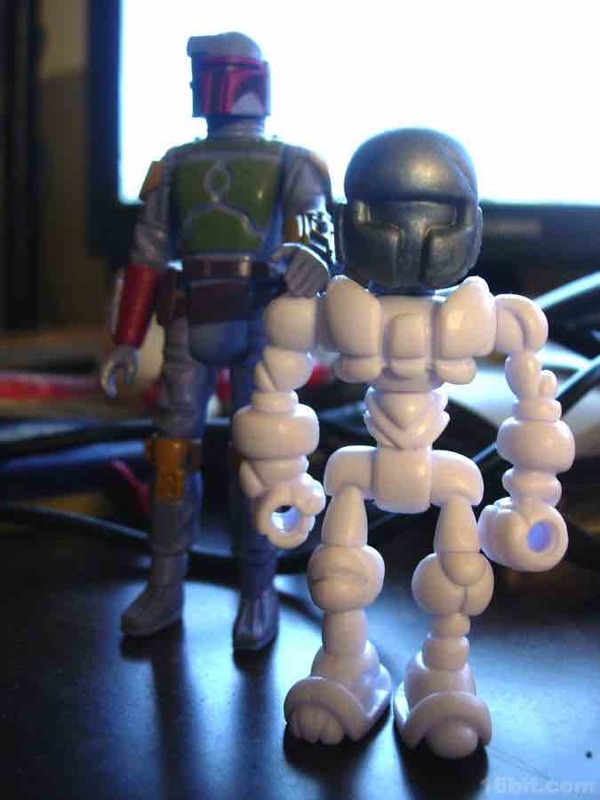 Since it's compatible with Glyos construction, you can pop the head on an Outer Space Men figure, or a Pheyden, or whatever. 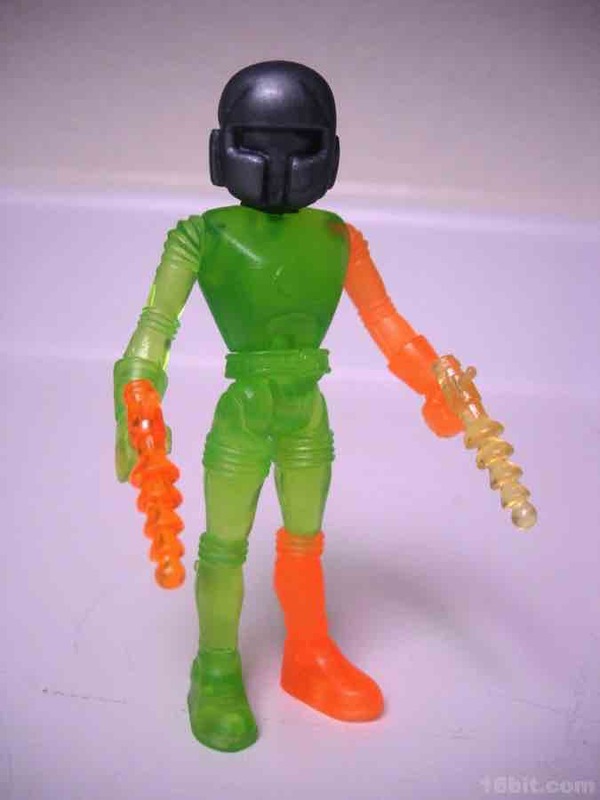 It's pretty neat, the design is based on Boba Fett's helmet which is what you'll see on other Sucklord "bootlegs." (There are many.) The idea is darned creative-- if a little expensive-- and showcases just what a difference popping a new head on an existing figure can make. It's a shame there aren't more upgrade kits and accessories like this for this kind of action figure just yet. Odds are this is not something you're going to find or jump on-- it's weird, it's basically designer vinyl, and it's a little tough to come by. If you're already buying Glyos stuff, this could be worth a look as it adds some fun to figures you already own. 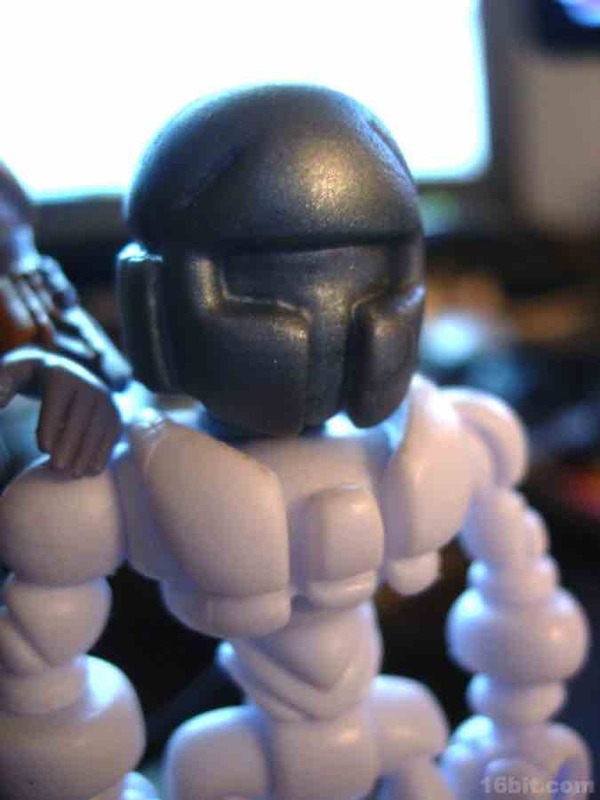 It's a crying shame these heads can't be bought in gumball machines, I applaud the creativity of the designers in cranking out something to enhance an existing figure.